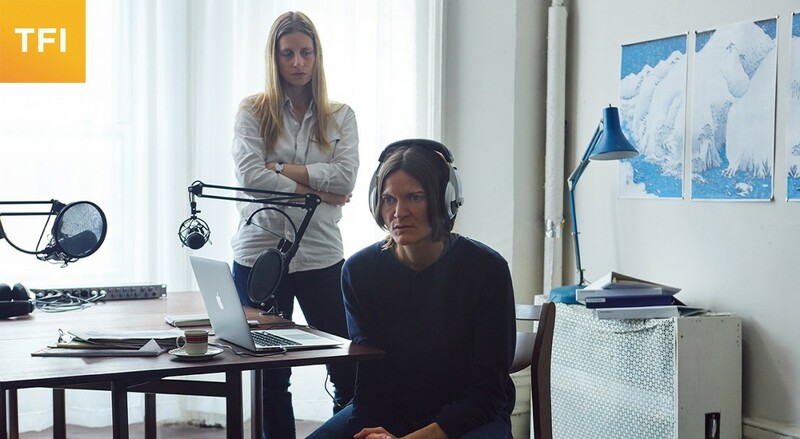 In Women Who Kill, Morgan and Jean are an ex-couple who live together and host a podcast together on women serial killers in Park Slope, Brooklyn. When Morgan starts dating someone new, Jean suspects the mysterious, Simone, to be a serial killer herself. Original and hilarious, you never quite know what to believe. The banter between Morgan and Jean is silly and witty. I really enjoyed seeing an ex-couple portrayed as people who are much better as friends than as lovers. It’s odd how often you don’t see that. The term “first time director” is used to describe Ingrid Jungermann, who writes, directs and stars as Morgan, but she’s not a novice. She may be a first time feature director, but Jungermann has produced two different web series, The Slope and F to 7th with several A-list actors. She’s been writing and acting for over 20 years and you would never guess this is her first feature. Episode 1: “Miserable Animals” from The Slope on Vimeo. I got a chance to have a lovely conversation with Jungermann where we talked about everything from video stores to virtual reality. I felt an immediate connection with her after reading about her growing up in a small town and working in a video store. Both of us have a love for the escapism of the movies but unlike me, she pursued acting and directing to create her own movies. Necessity is the mother of invention. Jungermann started acting in high school and when she realized that there weren’t many parts for her and her friends, she decided to create them herself. I asked her what made her decide to go from short form to feature, she explains, “it was all part of the plan.” She also says, “the web series was a way for me to make my own rules and taught me about feature filmmaking.” During the second season of F to 7th, she was working on her feature and developing the three act structure. I had never considered the difference between, but it’s all about structure. In her web series, F to 7th, each episode is about 5 minutes long and each play out as scenes as part of the entire series. They aren’t directly related, but are connected through the characters. Jungermann uses several of the stories and characters from the series in her feature, and it comes together brilliantly. “I don’t think I really understood feature filmmaking until this film. But what I didn’t realize is how much I love web series.” She describes that she really couldn’t get a grasp on short films and when she discovered a web series option, she jumped at it. Jungermann is working on a new sci-fi feminist thriller with Stewart Thorndike who directed Lyle (below) with Gaby Hoffman. Also recommended was Krishna, which is playing in theaters in New York right now. This entry was posted in Film Festival, New York City, Reviews, Tribeca Film Festival, Woman Lead, Women in Film and tagged f to 7th, ingrid jungermann, tff, tff2016, tff2016 melissa, the slope, tribeca, Tribeca Film Festival, tribeca film festival 2016, women who kill by Melissa Hanson. Bookmark the permalink.